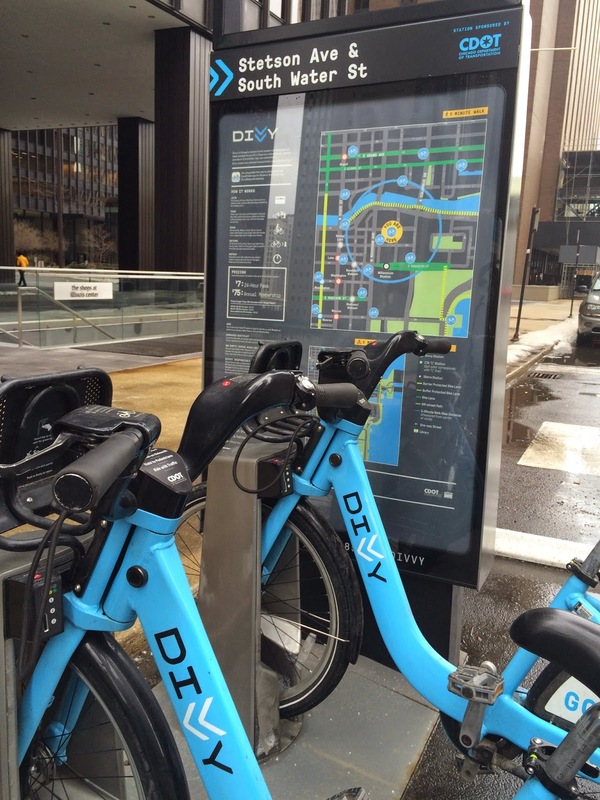 Another city, another opportunity to try a bikeshare system - in this case Chicago's "divvy." When I arrived on Monday, all flights had been delayed by an inch of snow. I was NOT thrilled to encounter one more spring snow, but the weather forecast was for warming temperatures by Wednesday afternoon - which was perfect, since that was when my work obligations would be over. 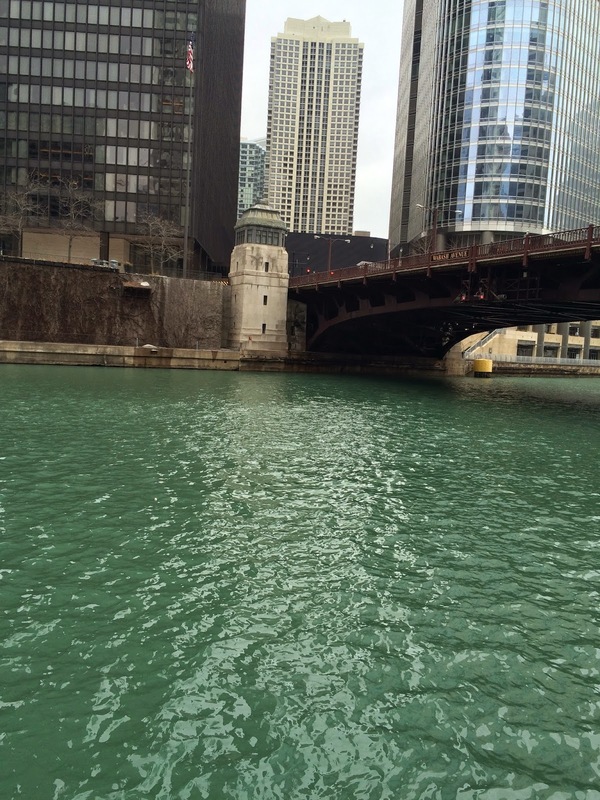 Tuesday I had spent some time walking around my neighborhood, looking at the traces of green still coloring the Chicago River a week after it’s St. Patrick’s Day dye job. 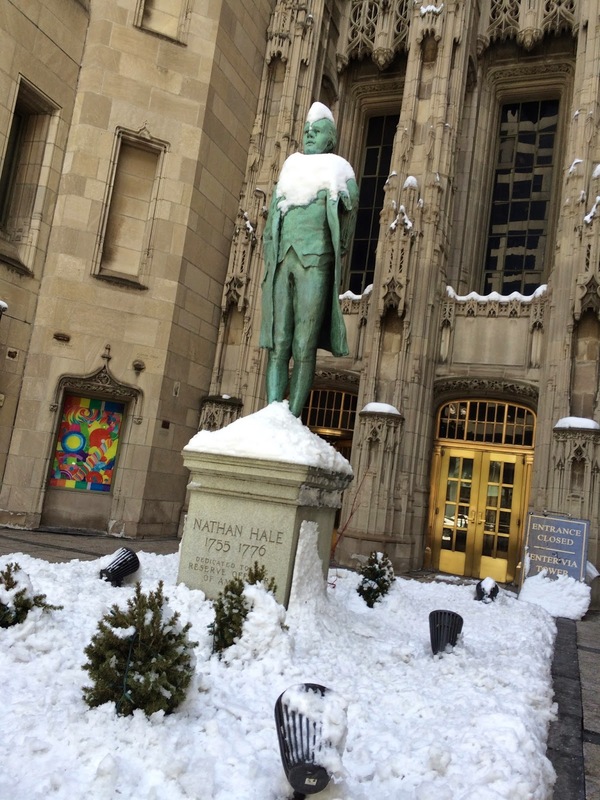 A statue of Nathan Hale showed him festooned by a whimsical snow cap atop his head. On Wednesday I headed for the docking station just a block from my hotel, but when I got there the touch screen didn't work. My next try was successful, but finding easy access to the lakeshore path was more of a challenge. I thought I turned the right direction, but I ended up inside an enormous playground through which I had to walk the bike in search of an exit. Naturally it took me several blocks in the wrong direction, but once I escaped I was happy that the temperature was a comfortable 40-something degrees. 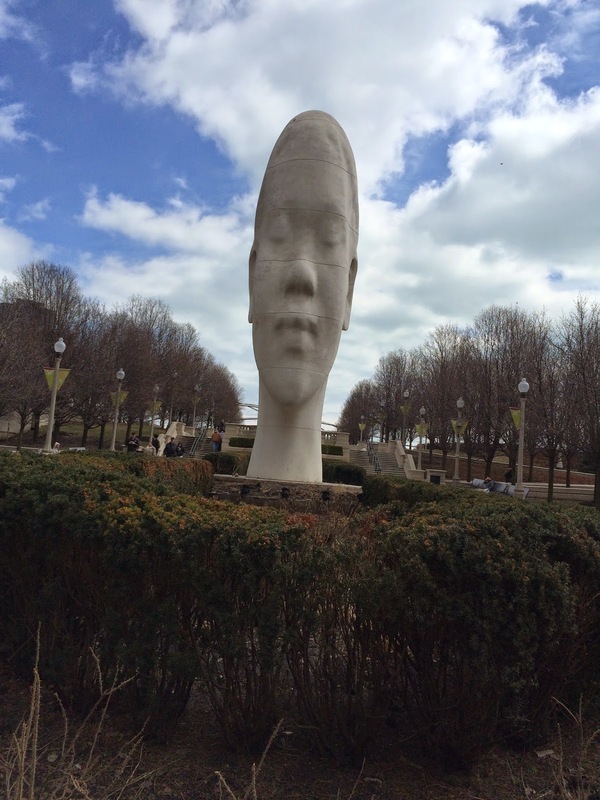 Chicago has an abundance of outdoor art – both sculpture and mural. 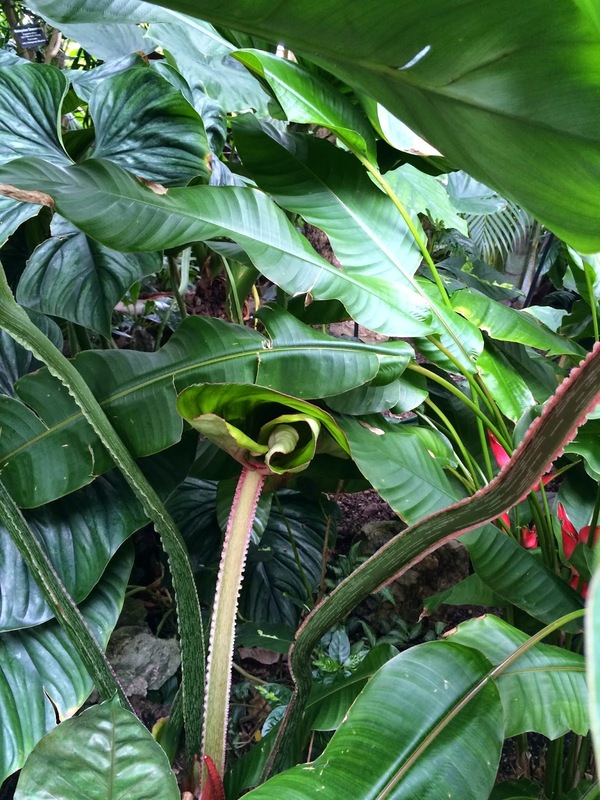 Once I got around a detour on the path, it was smooth sailing toward my destination: the Lincoln Park Conservatory, one of the nation's oldest botanical gardens - and free to the public. I knew I would have to change out my bike to avoid extra fees, and I suspect I didn't make it within the required half hour. 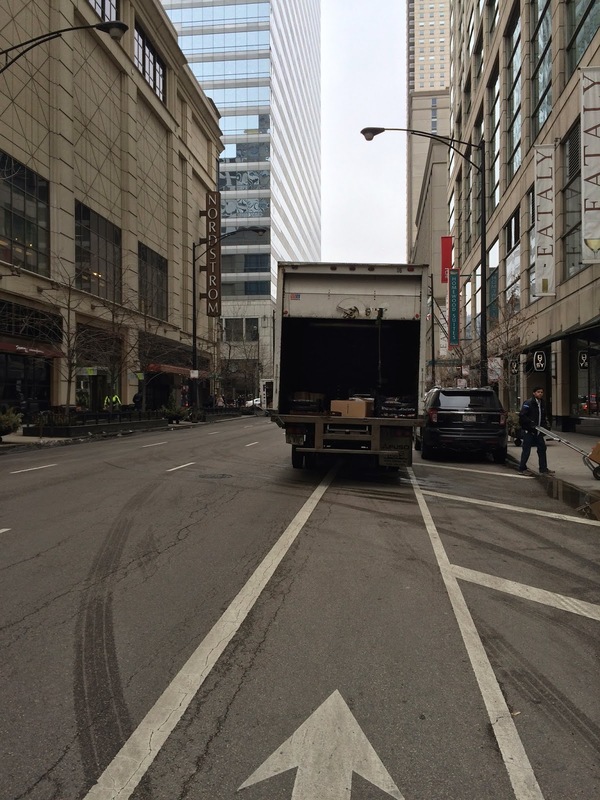 I had to do a short stretch on city streets to dock the bike and do not think Chicago drivers understand about a three-foot passing zone. 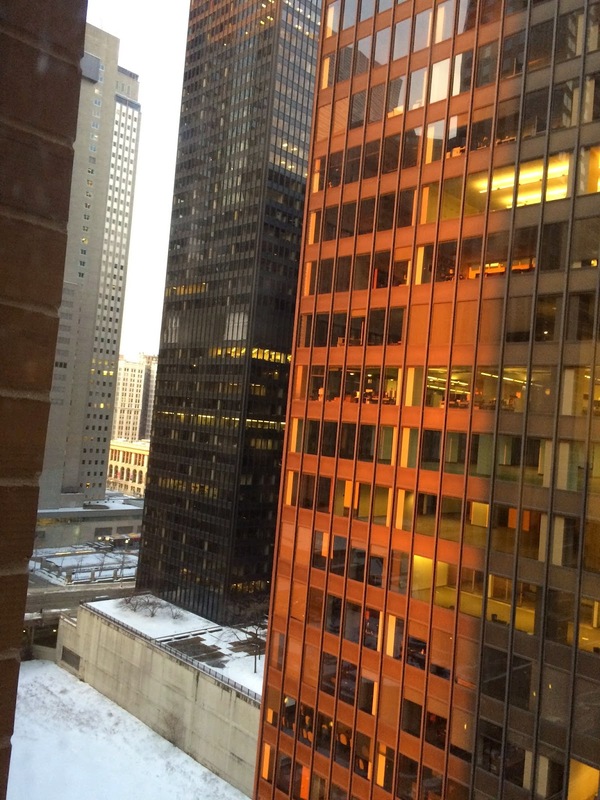 I resorted to the sidewalk in a few places and, thus, am still alive to write this blog. 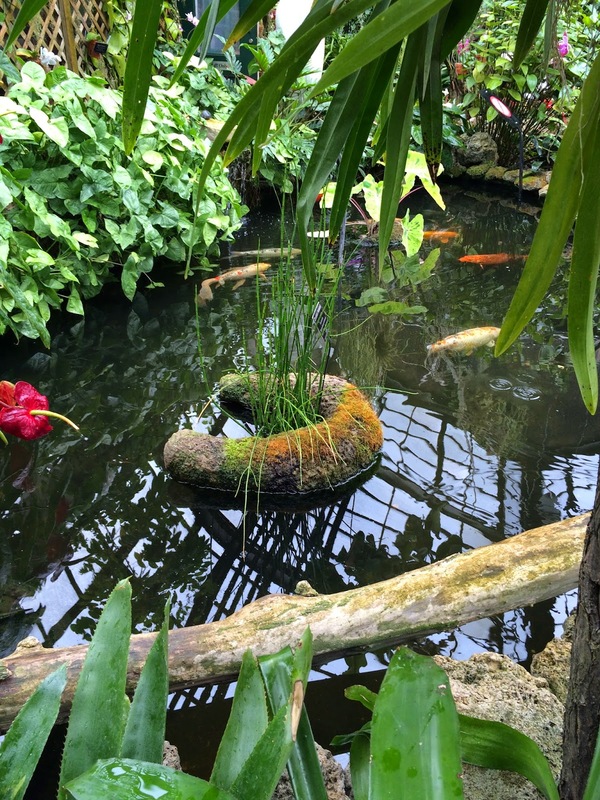 The gardens were beautiful, featuring a palm room, a fern room, an orchid room, and a spring display - reminding me of what we have to look forward to in the next month or so. Getting back onto the lakeshore path again entailed a bit of backtracking to cross the major road. I decided to get off north of my hotel to avoid the playground fiasco again. Finally I found a city street with an actual bike lane. Bike infrastructure in the downtown area seems much less developed than what I'm used to in D.C., Arlington, and Philly. However, as in cities everywhere, I didn't have to ride far for my lane to be blocked by a delivery truck. After docking the bike, I saw a sign for State Street and remembered that I had scoped out a Mexican restaurant there. I enjoyed a late lunch at Cantina Laredo, which serves "new" Mexican cuisine. The avocado and artichoke enchilada, served on spinach and other piquant vegetables, was to die for. 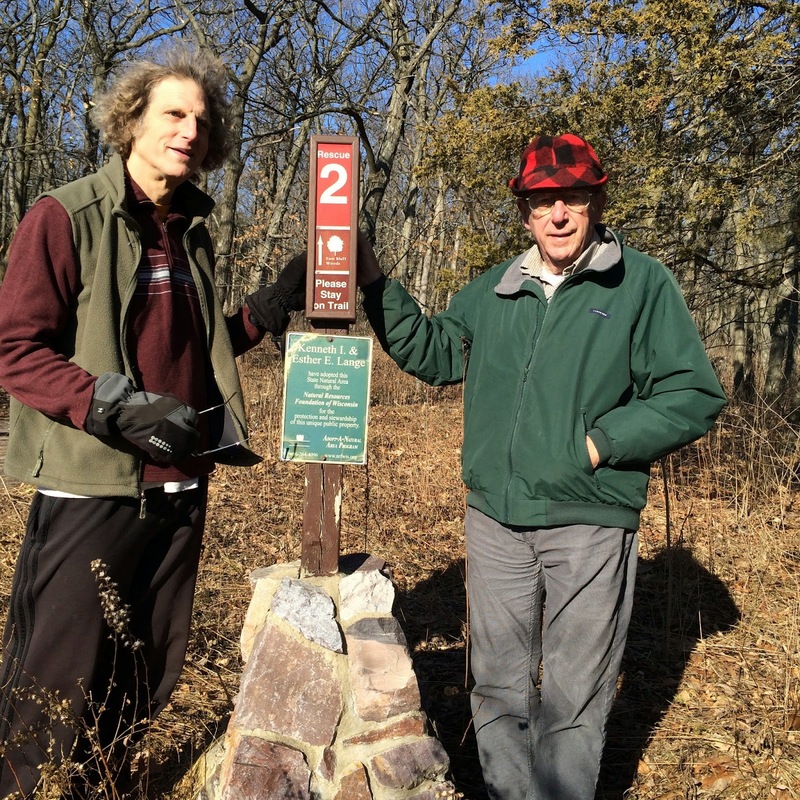 On Thursday I walked to the Amtrak station for a slow ride to Wisconsin - near Devil's Lake state park - for a family visit. The double-decker train with its spacious seats and the landscape out my window made it clear I wasn’t on the East Coast! 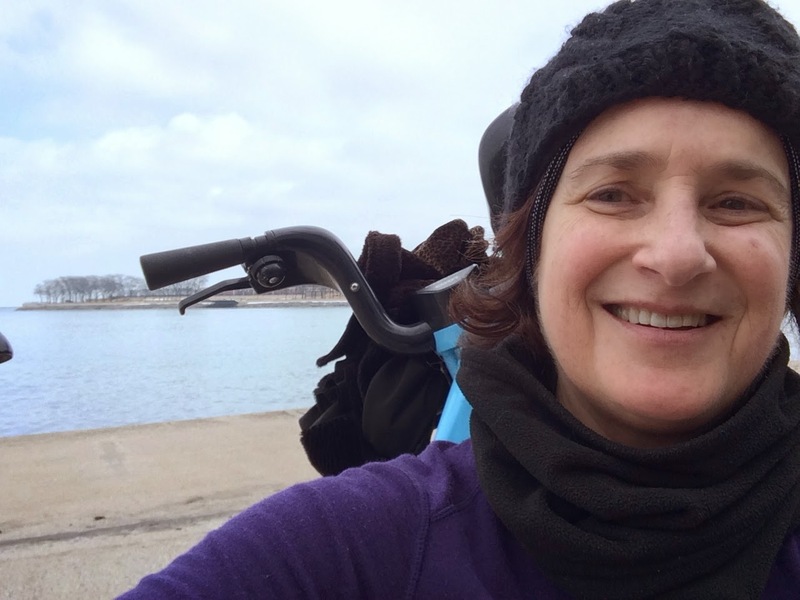 Next month: Minneapolis for AWP conference, where I hope to add another bikeshare experience. 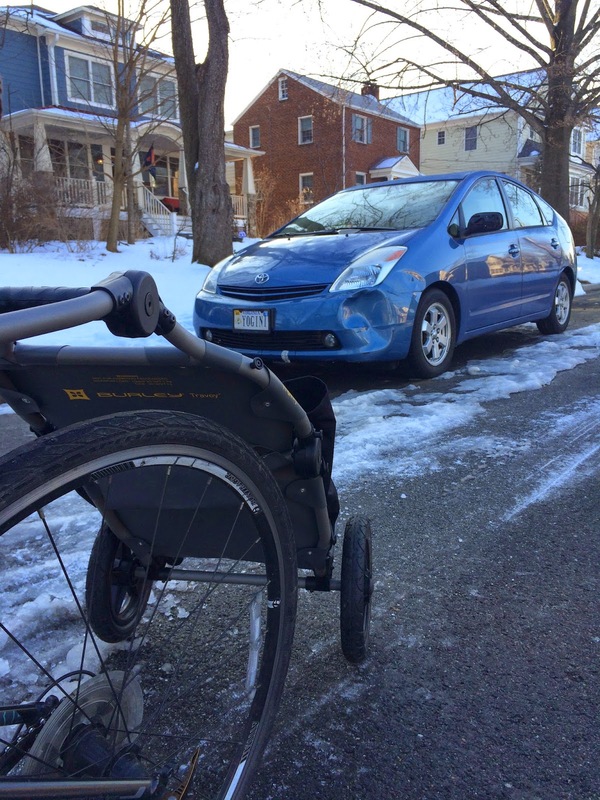 When the 2015 errandonnee was announced the DC-area was still blanketed in snow and chilled by record-low temperatures. My usually-intrepid biking spirit had been crushed by winter. I failed to bike even once in February and, I think, made only two trips in January. The upside of my near-hibernation was that I started winter swimming (indoors), and I learned to make a tasty vegetarian Pho. But life without bike riding is just not the same. My spirits were sinking and when I looked at the forecast for the beginning of the errandonnee I thought – I’m gonna have to skip it this year. With more snow falling and neither snow plow nor salt truck in sight, the roads were a hazard. But this area being what it was, the weather turned and most of the accumulation melted the Saturday that the challenge began. By Sunday I was ready to pump up my deflated tires and hit the road. Leaving at 8:30 on a Sunday morning I knew my back route was still icy, so I rode on Lee Highway, counting on light traffic. It’s hard to describe the pure elation of riding after the long winter. Not knowing how long the good weather would hold, I decided to “trip chain” and get as many errands as possible done in one day. 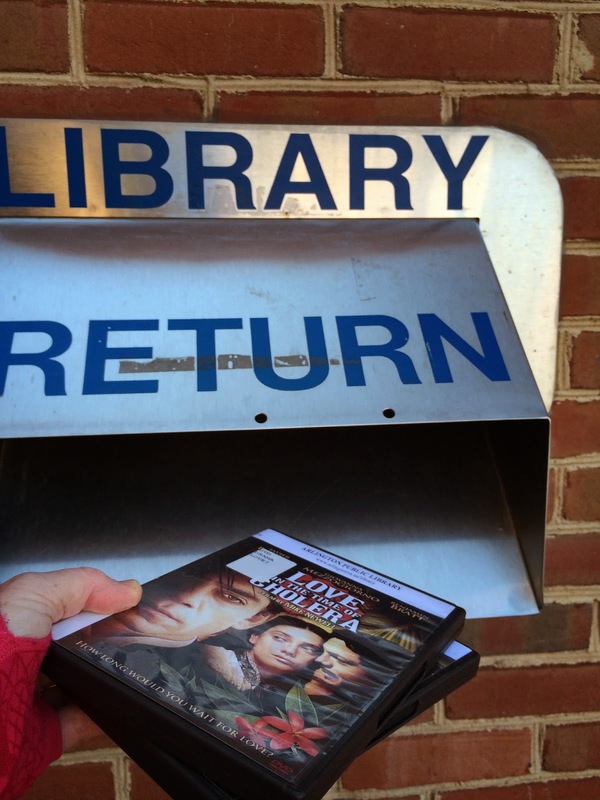 From yoga, I headed to Arlington Central Library to return the DVDs I’d checked out in anticipation of the snow. I didn’t end up watching them, but it’s always nice to have them on hand. The roads were clear, but the bike lanes often still had icy snow. Either that or cars were parked in them because there was still icy snow at the curb. My next stop was to replenish my supply of high-quality probiotics. Just how much good bacteria does one need? I decided 42 billion per dose should be plenty. 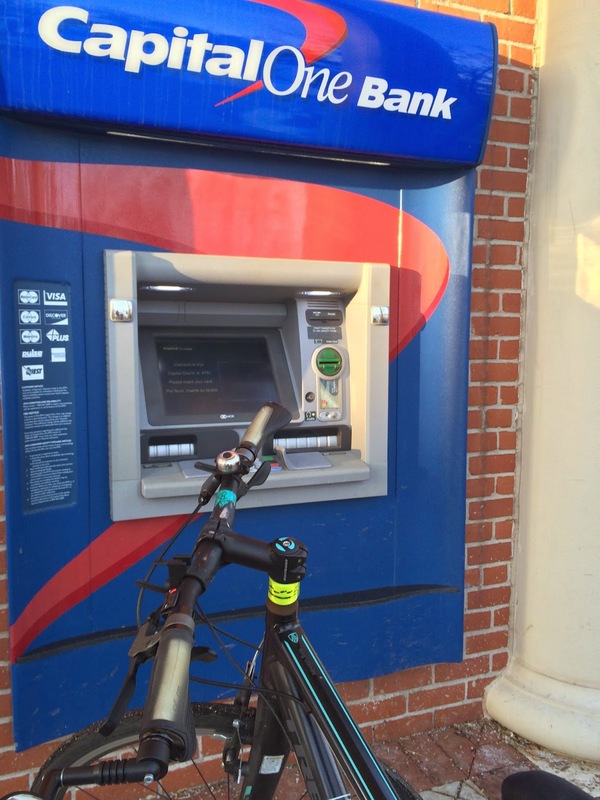 I had parked in the bike corral at Revolution Bikes for Whole Foods and Walgreens trips. There were lots of people out and about, celebrating the beautiful afternoon. On to Trader Joe’s for dog food and a 12-pack of toilet paper. That pretty much fills the Burley Travoy. Perhaps these aren’t the most exotic items to carry on a bike – but I couldn’t tote either without the trailer which, by the way, is where I proudly display all my coffeeneur and errandonneur patches. After my first set of errands, I took a break to have lunch and visit with a friend. Thanks to daylight savings time, it was still light – and warm – so I went back out to check out the roads on my “back route.” It was pretty clear by 6 p.m.
On the way home I stopped to take a photo of my least favorite curb cut in Arlington – intersection of Lee and Harrison. 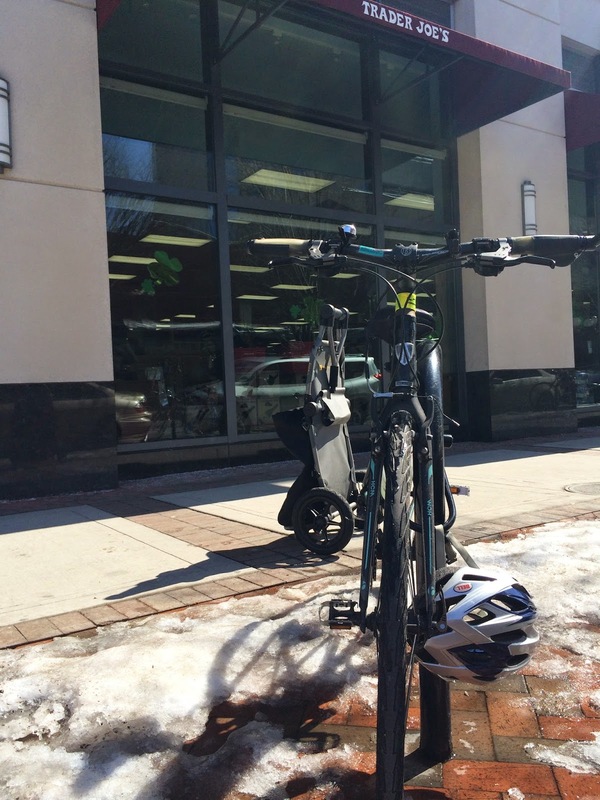 Seven errands in one day; 11.5 miles – not bad! 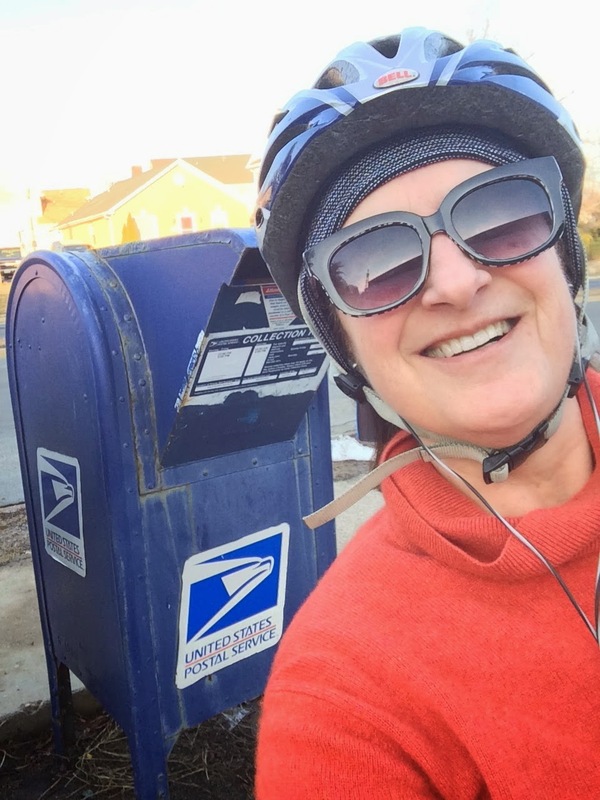 I wondered whether I’d remember how to get to work on my bike – it had been so long – but it was, you know, like riding a bike: you don’t forget. There was still some ice on the Mt. 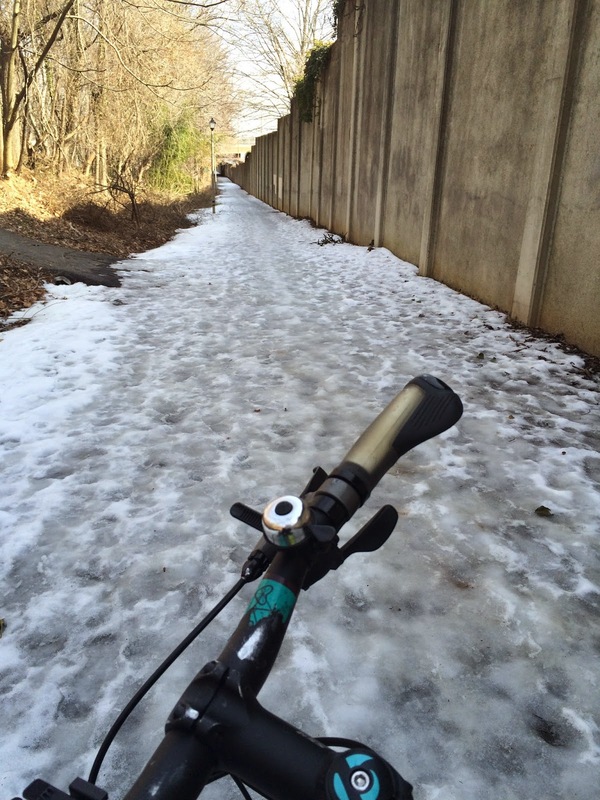 Vernon Trail, but the Custis Trail was clear – thanks to Arlington County’s commitment to clear the paths…yay! I was cyclist number 221 on the Rosslyn counter. But on the way home my “back route” from the metro was impassable: solid ice. Went to Pret a Manger for a quick dinner before class. Took a Capital Bikeshare in the rain. It’s just not that pleasant and the app indicated that the closest station to class was full, so I had to park 2 blocks farther away. 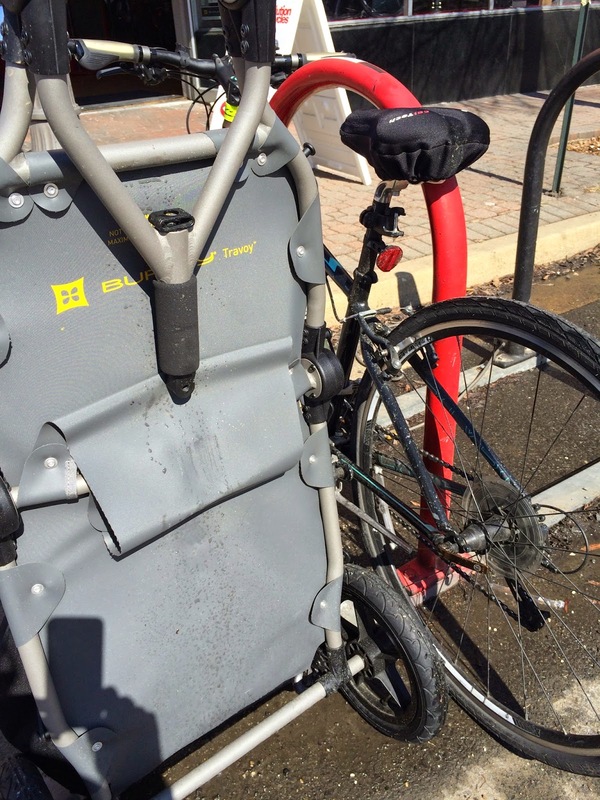 Took a CaBi – again in the rain – even harder rain this time – from class to the Metro. My rain boot slipped on the pedal. It was dark and rainy – not much fun – but not very far. I was glad the two-rides-in-the-dark rule was eliminated this year – but ended up riding in the dark anyway. What a difference a few days make: the rain was over, the temperatures rose again and the ice was completely gone – even on my back route from the metro. It felt like spring! Clearly a lot of people agreed – leaving even earlier than I had on Monday, I was cyclist number 398 on the Rosslyn counter. Biked to Ballston for a movie. 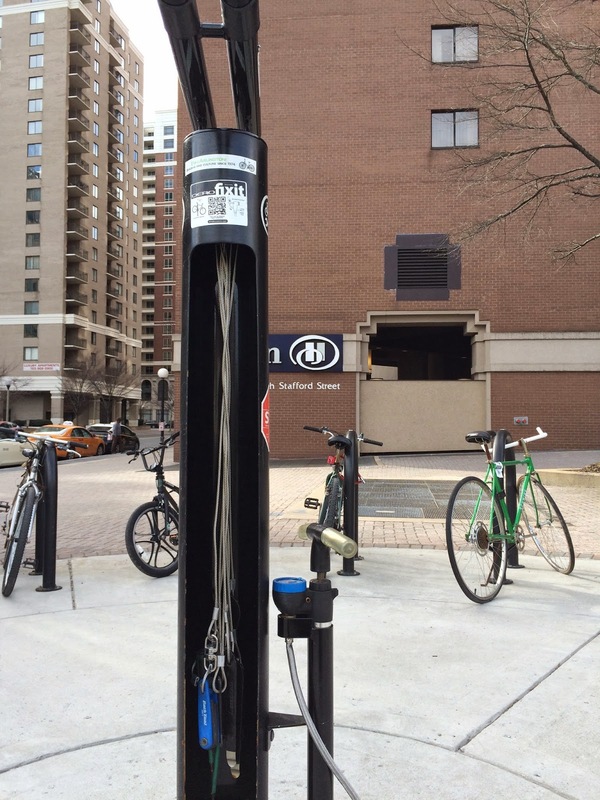 Parked at the Metro and was delighted to see that there is a bike pump and tools in the center of the bike parking area. I don't recall seeing that last year. Coming out there was a light rain. I figured I might as well bike home, because even if I put the bike on the Metro, I’d still have to ride a mile home anyway. 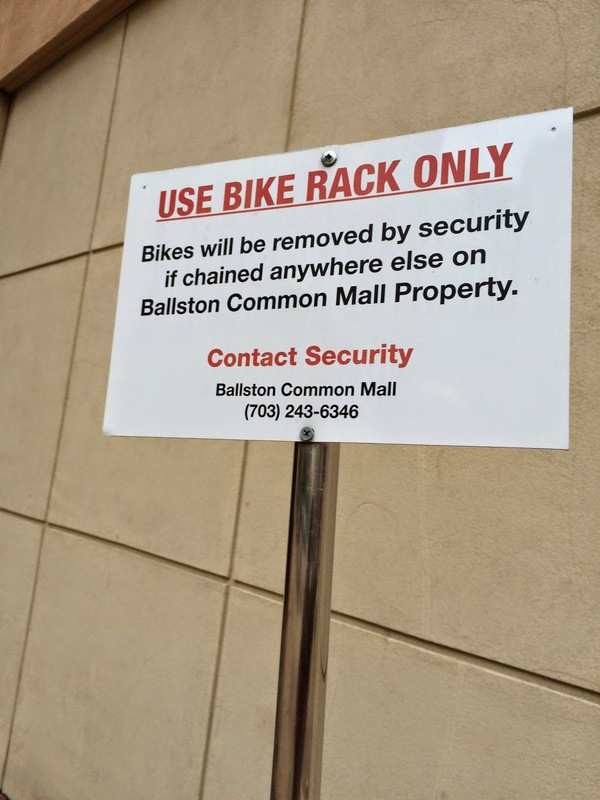 The sign by the bike rack near the mall was less friendly. The rain stayed light and the temperature was fine – but almost half the streetlights on George Mason Drive were out…grrr. And – I had a second dark ride. Always such a bummer when they threaten "removal"
Yoga again – the wind, the wind, the wind – especially on the way home – straight into it all the way! Nevertheless, it was such a delight to have a full week of frequent bike riding. By the second Sunday I was starting to feel like my old self again – that is, a younger-feeling version of my old self. 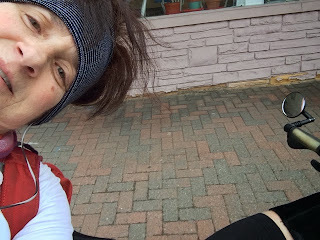 Total – 45.5 miles and 13 errands: feelings of joy – immeasurable!